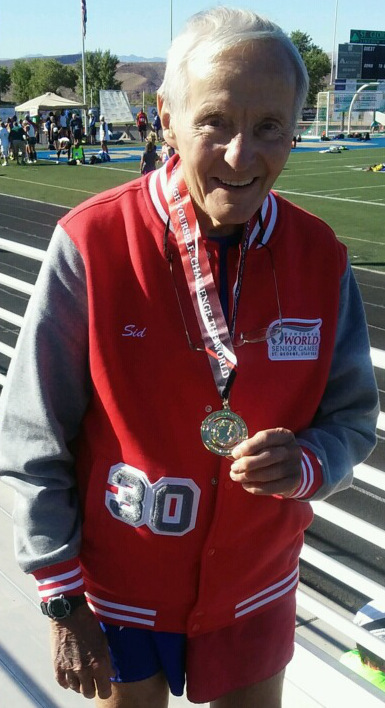 ST. GEORGE – Although his events were over, 91-year-old Sid Smith still was at the Snow Canyon High School track sitting in the sun on Wednesday morning. He was watching other participants in the Huntsman World Senior Games track and field competition. Volunteers Ralph and Rae Harding likewise meet people. “We did it one year and found it’s a lot of fun,” Ralph said. “Oh, the people we see year after year; it’s just wonderful,” said Rae of the enjoyment she and her husband get in volunteering. The Ogden residents have been doing it 10 years. Smith, who is from Salt Lake City, noted that he is a recovering alcoholic. He said the friends he has made while running have helped him stay sober the past 48 years. Smith has also been associated with Toastmasters and Weight Watchers long term. Of his association with those organizations and the Games, Smith listed three keys to his success. Of course the health benefits of running are well-known. Over the past 30 years Smith has collected “75 or 76” gold medals at the Huntsman World Senior Games. “Even if people don”t win medals, they have fun and they enjoy it,” Rae Harding said. Smith ran the 1,500 and 3,000 in track. He will run a road race on Thursday. 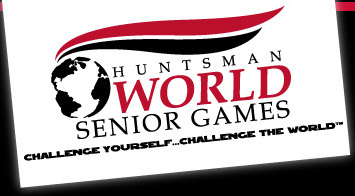 The Huntsman World Senior Games take place every October in St. George and the surrounding communities. In its 30th year, the Games have hosted thousands of athletes and their families. Founded by Daisy and John H. Morgan, Jr., the Games began with their vision of an international sports event for men and women ages 55 and better. John Morgan is still the president of the board of directors, while Kyle Case is the chief executive officer and John “Rosey” Rosander is the director of sports. This year, more than 10,00 athletes will compete in 29 different sports at the Huntsman World Senior Games. The Games began Monday and run through Oct. 15.